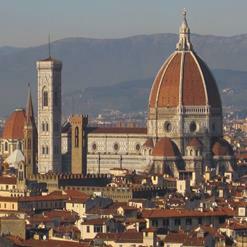 Built in 1581, the Uffizi Gallery is the most famous and oldest art museums in Western world. Having in all 45 large rooms, the gallery possesses numerous spectacular paintings from 14th and 15th century. Not only the artworks from Italian artists, but artworks of artists from countries like Spain, Germany and Holland. Paintings being one of the central themes of the museum, various sculptures as well, are featured in here. The museum is arranged chronologically from 13th to 18th century and serves as a true paradise for art lovers.